awaits them there. They have nothing; just a pistol to defend themselves against the lawless bands that stalk the road, the clothes they are wearing, a cart of scavenged foodand each other. 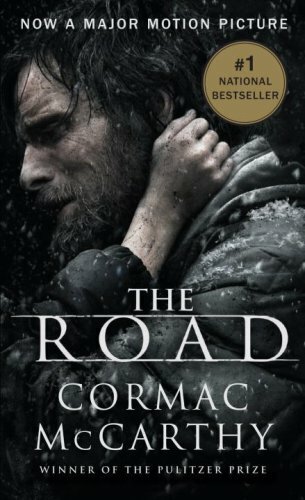 The Roadis the profoundly moving story of a journey. It boldly imagines a future in which no hope remains, but in which the father and his son, "each the other's world entire," are sustained by love. Awesome in the totality of its vision, it is an unflinching meditation on the worst and the best that we are capable of: ultimate destructiveness, desperate tenacity, and the tenderness that keeps two people alive in the face of total devastation. From the Trade Paperback edition. Cormac McCarthy was born in Providence, Rhode Island on July 20, 1933. He attended the University of Tennessee, but interrupted his studies for four years to join the U.S. Air Force. His first novel, The Orchard Keeper, was published in 1965. His other works include Outer Dark, Child of God, Suttree, and Blood Meridian. All the Pretty Horses, the first part of the Border Trilogy, which also includes The Crossing and Cities of the Plains, won the National Book Award in 1992. His novel No Country for Old Men was adapted into a film in 2007. He won the Pulitzer Prize in 2007 for The Road. He has also written plays and screenplays.